ZINACANTAN, Chiapas, Mexico _ As he descends the curving hillside road into this city of 30,000 in the highlands of Chiapas, Juan de la Cruz shifts his rickety Volkswagen Pointer into neutral and slows to a stop. “What’s the first thing you see here?” de la Cruz asks with a grin. It’s impossible to miss: You see basketball courts. They’re a common sight in Chiapas. The courts that frame Zinacantan’s entrance are among thousands scattered throughout these highlands and the rest of the state. Mexico may consider soccer its national sport, but basketball reigns supreme in Chiapas. The sport has become a part of life, even a tradition, for the Mayan tribes that inhabit the central highlands, like the Tzeltal, Tzotzil and Ch’ol. 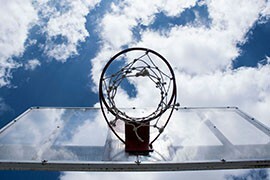 But the courts are more than just a place to shoot hoops. In the same way a small U.S. town might use a high school gymnasium as a civic center, indigenous communities in Chiapas towns like Zinacantan, Chamula or Chenalho use the courts for festivals, meetings, and all kinds of gatherings, because they are often the largest and sturdiest infrastructure in the village. While the courts serve as the foundation for the development of communities they’ve also been sites of tragedy and destruction. Indigenous groups and the Mexican government have a long history of conflicts, especially in Chiapas. In 1994, the state faced one of the largest indigenous rebellions ever in Mexico. In a violent 11-day struggle, the Zapatista Army of National Liberation took over six municipalities to protest the ever-growing gap between the poor and the elite. More than 100 people died and hundreds more were injured in the fighting. While tensions have cooled considerably in the past 20 years, the government has used the basketball courts to put down the occasional flare-up, landing helicopters on them and detaining – some say torturing – protesters there. But to de la Cruz, the courts are a place for solidarity, not conflict. He speaks with conviction. As the Central Highlands delegate for the Ministry of Youth, Sports and Recreation in the state of Chiapas, it’s de la Cruz’s responsibility to promote athletic activity in the region. It’s a job that de la Cruz has been doing for 17 years, and he has no plans of stopping. Despite the constant distrust between indigenous groups and the government, de la Cruz believes he was meant to do this work. 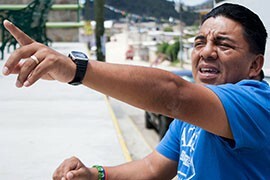 Growing up in Zinacantan and neighboring San Cristobal de las Casas, de la Cruz has spent his life playing basketball. The sport is more than a hobby – it’s an integral part of his environment. For de la Cruz, basketball transcends political, religious and social conflicts. “There’s no difference between anyone on a basketball court,” he says. In the gap between the indigenous people and the government, de la Cruz seems to be a bridge. But it wasn’t his relationship with the community that got him his job. He says it was his skill on the court. When the Chiapas government organized a municipal basketball tournament in 1997, de la Cruz put a team together in Zinacantan. After his team won the tournament for two consecutive years, government officials wanted to know how he did it. De la Cruz’s passion for his work has paid off. There are now 80 teams – 10 of of them women’s teams – in the municipal leagues around the central highlands of Chiapas. Last year, Chamula’s team, Los Fantasmas, placed third in the national basketball competition. De la Cruz stands about 5 feet 4 inches, average for a man in Zinacantan. But Chiapas’ courts generally hew to the standard 10-foot high rims. The government spends around 10,000 pesos – about $800 – to build a court, de la Cruz says. He reminisces about playing on them in his younger days. 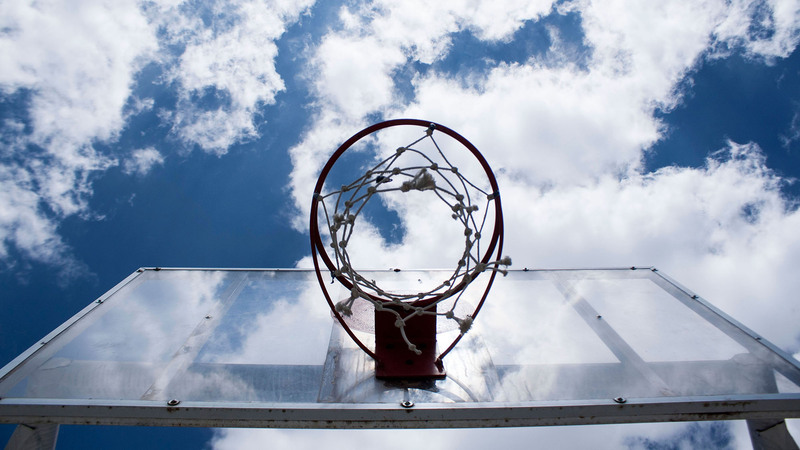 Miami Herald Latin America correspondent Andres Oppenheimer estimated that there were 3,700 basketball courts and 12,000 teams in Mexico’s southernmost state in 1996. Since then, that number has only grown, especially for the indigenous communities of Chiapas, who make up 12 of Mexico’s 62 officially recognized indigenous peoples. Lewis’ work has focused extensively on indigenous people in Mexico, namely in Chiapas. While researching historical documents for his book, “The Ambivalent Revolution: Forging State and Nation in Chiapas, Mexico, 1910-1945,” Lewis found that the government had been using basketball as a distraction from vice long before Castellanos was governor. 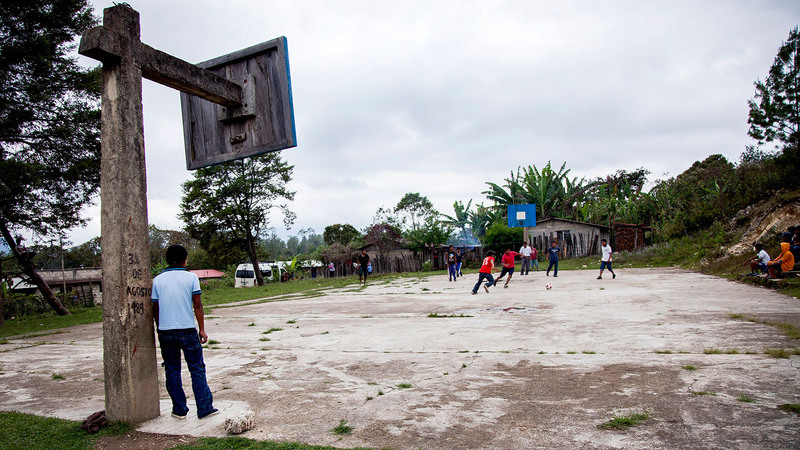 The ritual of a basketball game remains strong in the central highlands of Chiapas. In heavily Catholic Mexico, the indigenous celebrate patron saint days with a festival that always includes “torneos relampagos,” or lightning-round tournaments. With each community observing different saints’ days, it’s hard to determine how many times this actually occurs. But the Catholic Church says there are more than 10,000 named saints, each with his or her own celebrated day. The basketball tournaments are accompanied by various events, including music, parades, and pre-Columbian ceremonies. But de la Cruz says that the basketball game is one of the most important activities during these celebrations. Before the religious observance of Lent, the town of Chamula celebrates with a weeklong “carnaval.” A hybrid between Catholic and Mayan rituals, the Tzotzil people use palm fronds, incense, pyrotechnics – and basketball games throughout the celebration. It’s a source of pride for both the Tzotzil inhabitants and the town’s team, Los Fantasmas. De la Cruz works closely with Chamula and Los Fantasmas. He has long-standing friendships with team members, like Beto Lopez, who runs a convenience store in town when he’s not on the courts. Throughout the time he’s known Lopez, de la Cruz has been a government representative. But the government cannot claim credit for Chamula’s athletic accomplishments. Chamula is an autonomous municipality, independent of the Chiapas state government. The town provides its own police force – no state or federal police can operate there. Los Fantasmas still participate in state-promoted basketball tournaments. But their involvement in the municipal leagues is on their own terms, as well as their own dime. Just ask Los Fantasmas member Gerardo “Lalo” Lopez, another friend of de la Cruz’s, who raised money for the team’s uniforms. Chamula’s autonomy means the 50,000-person community is almost entirely responsible for providing for itself. But the municipality does promote physical education in the same vein that the government originally intended. 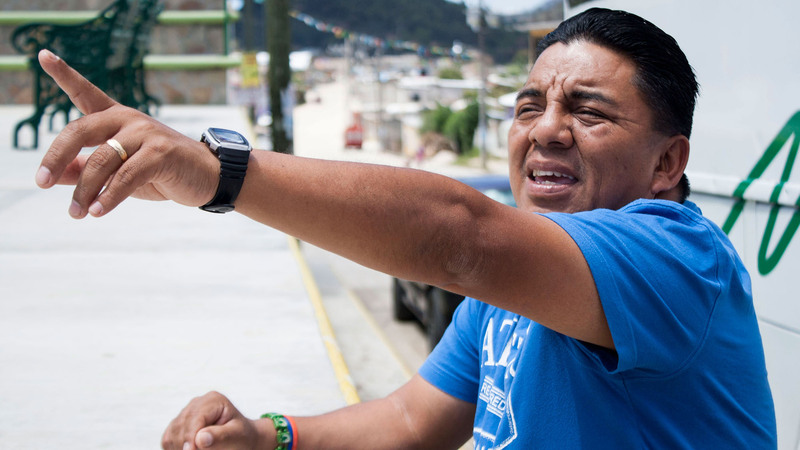 De la Cruz carries on that duty in Chamula’s primary school, Primaria Bilingue Benito Juarez Garcia, where he works with teachers and parents to put together “torneos relampagos” for students. Without much government funding for the school, there is no physical-education program. Teachers take on double-duty in the classroom and on the school’s two courts, where they make time in the day to coach students. Octavio Santis, a fifth-grade teacher at the school, is coaching his female students for the tournament. He says they’re picking up basketball quickly. Santis takes his fifth-grade girls out to the courts after the discussion, having them do drills and quick games. Some girls play in traditional Tzotzil garb – an indigo-dyed wrap, a blouse and a cotton sash. 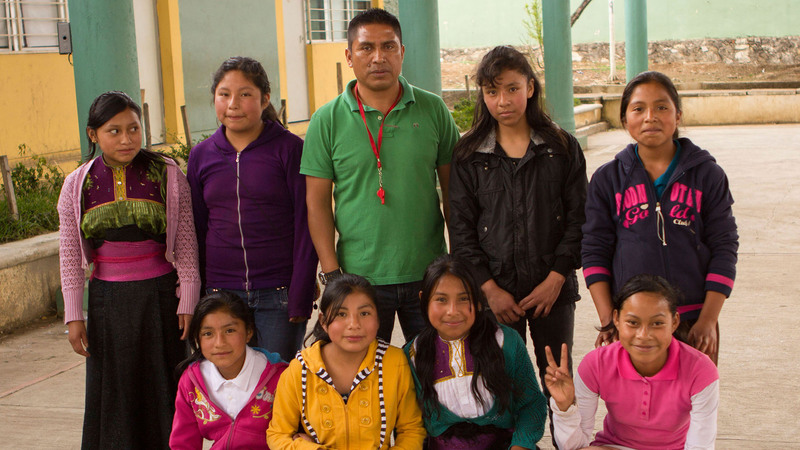 Everyone at the school speaks both Spanish and Tzotzil in varying degrees: Because almost all of Chamula’s population is from the Tzotzil tribe, the school has a bilingual curriculum. Instilling indigenous languages in the schools is not something embraced by Mexico’s government, which has pushed Spanish-only education since the Mexican Revolution in 1910. While the century-old battle over language in schools remains unresolved, the government and the Tzotzil in Chamula have found common ground on the basketball courts. But the sport has not smoothed all issues between higher and lower classes in Chiapas. At the time of the Zapatista rebellion in 1994, violence between government paramilitaries and the indigenous people of Chiapas was at its height. There were an estimated 3,000 members of the Zapatista Army of National Liberation (EZLN) who went head-to-head against Mexico and its army from Jan. 1 to Jan. 12 that year. The worst breach came in 1997 in Chenalho, a municipality of 27,000. Though not an official Zapatista community, some EZLN members and sympathizers live there. That prompted a paramilitary group known as the Red Mask to massacre 45 people in Acteal, a Chenalho village. Four of the 45 slain were pregnant women, who reportedly had their fetuses torn from their bodies. Zapatista supporters say the paramilitary acts are continuing, including a violent attack in July 2013 on Chenalho’s basketball courts. “On July 20, two Zapatistas and one non-Zapatista were detained in the Puebla ejido in Chenalho. The two Zapatistas were beaten and tied to posts on the basketball court and threatened with having gasoline poured on them and being set on fire. They were accused of poisoning a water tank in the community. The third man was arrested and beaten for protesting the treatment of the Zapatistas,” she wrote. There was no outward evidence of that type of discord this March. In the center of Chenalho, the basketball backboards are painted with the slogan, “Unidos Hacemos Mejor Para Chenalho” – together, we do better for Chenalho. The slogan notwithstanding, Juan de la Cruz knows the government he works for and the people he lives with don’t always see eye-to-eye. He’s served 10 different secretaries, all with their own political affiliations, at the Ministry of Youth, Sports and Recreation. But de la Cruz has never cared which political party the secretaries belong to. It’s their actions that matter to him. Juan de la Cruz grew up playing basketball and has worked for 17 years as the Mexican government representative charged with encouraging athletic activity in Chiapas, particularly basketball. De la Cruz and the game serve as a bridge between the government and indigenous people. Teacher Octavio Santis with his fifth-grade girls basketball team at the Benito Juarez School. Some girls take to the court in traditional Tzotzil garb at the bilingual school, where Tzotzil and Spanish are spoken. Basketball is a way of life for indigenous communities in the Mexican state of Chiapas, where the game is often a featured part of religious and cultural festivals. 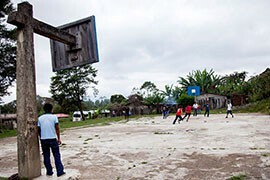 Basketball courts like this one dot the Mexican state of Chiapas, where the sport competes with soccer for fan attention. Or, as here, where the two sports come together, as soccer players use a basketball court for an impromptu game.